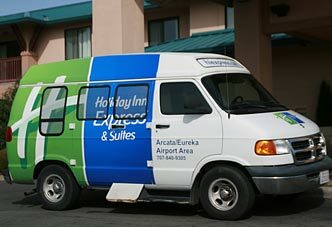 From time to time our McKinneyville hotel offers discount packages, deals and promotions to enhance your getaway to Northern California. Check here for the latest deals to make your stay at our Holiday Inn Express extra special. Peddle your way along the spectacular Hammond Coastal Trail, just 1/4 mile from the hotel. 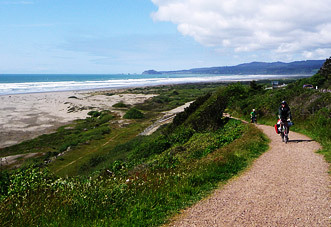 The Hammond Trail stretches 5.5 miles from Arcata to Clam Beach and includes beautiful ocean vistas along the rugged coastline. At the south end you'll cross the Mad River on the 1942 steel truss bridge, which provides a magnificent overlook of the marine life on the river. To the north, you'll pass pristine unspoiled beaches and the beautiful dune loop foot path.